1) Peel jicama and slice in to medium matchsticks. 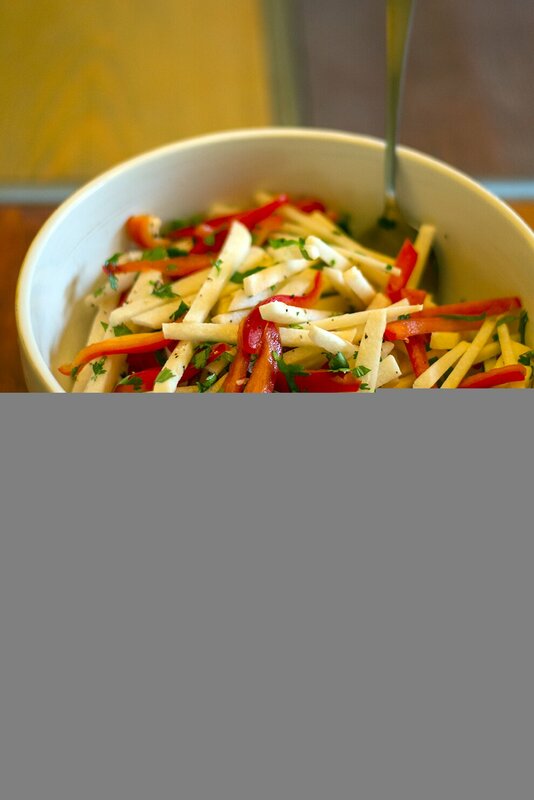 Cut red peppers into matchsticks. 2) Blend all dressing ingredients in the blender. 3) Combine all ingredients and let stand for about 20 minutes before serving.